Randall Harbert is the chief agency sales and marketing officer for State Farm Insurance and has been recognized by Business Insider as one the 50 Most Innovative Chief Marketing Officers in the World. At UCM, he pursued leadership experiences as a member of Alpha Kappa Lambda, had an exciting career as a collegiate golfer, and was the male recipient of the Charno Award. Harbert said it was the mentors at UCM, like graphic arts professor Jim Hoisington, who helped him excel. After graduation, he started his professional career with positions in both pharmaceutical sales and branding. In 1992, he left his marketing position at H.J. Heinz to become an agent for State Farm, where he quickly rose through the ranks. Harbert and his wife, Kelly, have served on the UCM Alumni Foundation Board, helped create UCM's State Farm Marketing and Sales labs and helped bring the State Farm Marketing and Sales Competition to UCM. They also have endowed the Randall and Kelly Harbert Marketing Professorship. Rebecca Morlando is the Lean Six Sigma Manufacturing and Supply Chain director for 3M’s Safety and Graphics Division. She oversees operations in more than 20 countries, with revenues in excess of $4.5 billion. A Warrensburg native whose educator parents helped develop her love of learning, Morlando earned her undergraduate degree in chemistry from UCM in 1993, then attended the University of Missouri to earn a doctoral degree in chemistry in 1997. She then launched her professional career with 3M, a company where she had worked part time during her dissertation. She became a plant manager in 2003. Since then, she has climbed the professional career ladder with positions continually increasing in responsibility and scope. Her work takes her to countries across the globe, and in 2018 she had worked on every continent except Antarctica. As Morlando travels the globe, she recognizes that the roots of her leadership reach back to lessons learned in her Warrensburg home and on the UCM campus. Richard Phillips has been honored for his 50-plus years of service in education with the Missouri Pioneer in Education award and the Friend of Education award. He completed his undergraduate degree at UCM and started his career as a teacher and coach at Odessa High School, followed by three years in Pleasant Hill. 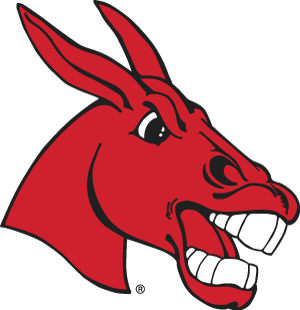 After earning a master’s degree, he returned to UCM in 1970 to obtain an education specialist degree. Phillips had moved to a superintendent position when the Missouri Department of Elementary and Secondary Education (DESE) asked him to be assistant director for supervision of instruction. He accepted the role with DESE and began a 14-year journey as the main architect of the state’s classification and accreditation effort. In 1993, he accepted a position as the assistant superintendent at Fort Osage High School. Then, in 2010, he was invited back to Jefferson City as the interim deputy commissioner of DESE. When Phillips became president of the UCM Alumni Board of Directors in 2004, he said he was able to view the university through a different lens. He then served two terms as president of UCM's Board of Governors. Phillips is also a past president of the UCM Alumni Foundation Board and was inducted into the UCM Athletics Hall of Fame in 2013. Rafie Hamidpour, originally from Iran, earned undergraduate degrees at Arizona State University and the University of Missouri – Kansas City in mathematics and engineering. While working as an engineer in Kansas City, he commuted to UCM to pursue a master’s degree in industrial management, which prepared him for additional graduate study. He went on to earn doctoral degrees in engineering and bioscience. Hamidpour, who is also a prolific author, has engineering specialty offices in California, Kansas, Missouri and Virginia. In addition to engineering, he is a medical researcher and herbal medicine investigator through his company, Pars Bioscience. The company conducts pharmacological studies exploring the benefits of herbal medicines such as sage, saffron and camphor as anti-cancer agents. Hamidpour now holds nine certificates of registration from the Library of Congress and a number of patent registrations in the United States and Canada. His first patent was for developing a motion control system. Sarah Osborne has been recognized as a Next Generation Leader by the Kansas City Business Journal and a Felllow of the Society of Actuaries. She began work as an actuary at Assurant Employee Benefits, and in 2010 she advanced to the vice president position with Lockton Companies. Since 2016, she has served as the senior vice president and chief actuary and analytics officer for GEHA. Osborne entered college at the University of Central Missouri in the late 1990s, where she was an outstanding student of actuarial science. She was involved with the Student Government Association, the Actuarial Organization, Kappa Mu Epsilon and the National Society of Collegiate Scholars. She was also a UCM cheerleader and a Charno Award winner. She credits the late Sherralyn Craven, professor of actuarial science, as a strong influence in her successful academic and professional careers. Osborne volunteers with the United Way of Greater Kansas City and serves on the Phoenix House Board of Directors, assisting women and children in need. If you know of alumni deserving of such recognition, please contact us for a nomination form at alumni@ucmo.edu. Suggestions will be reviewed by a committee and those individuals selected for formal nomination will be contacted for additional information.